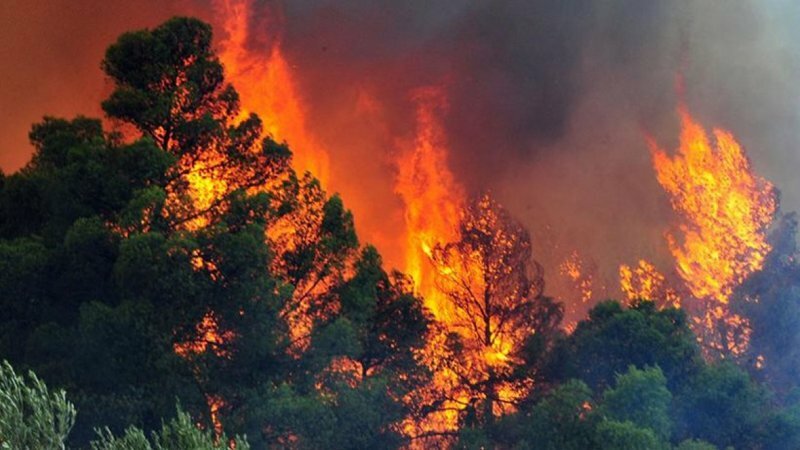 Large wildfires are raging in Attica and Messinia, in what is being described as the first large fires of the summer season. With temperatures soaring to 43 degrees Celsius in parts of Greece, firefighters are battling the flames near Krioneri, north of Athens and Koroni in south Messinia. The fire service says that the Krioneri fire does not threaten people or property. However, in Koroni the flames have reached the courtyards of some houses. Dozens of firefighters with the aid of planes are trying to contain the fire. Eyewitnesses say that the smoke can be seen from as far away as the coast of Kalamata.